World War One officially started on 28 July 1914 when Austria-Hungary declared war on Serbia. 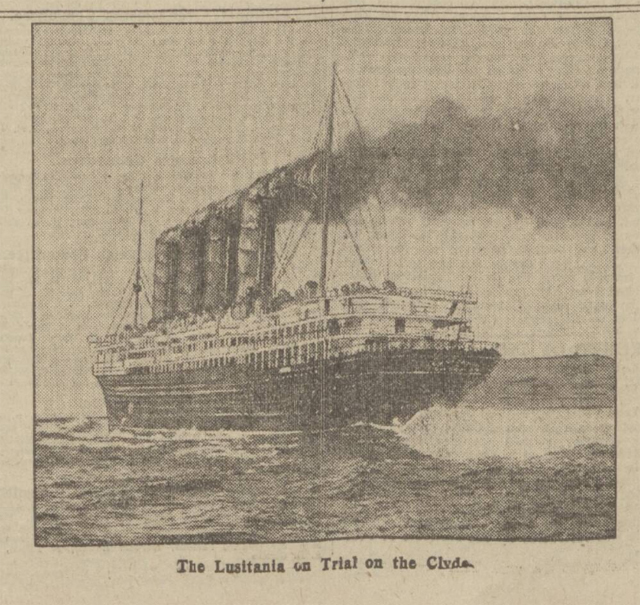 There are currently 25 newspapers from 28 July 1914 available to view online at The British Newspaper Archive. 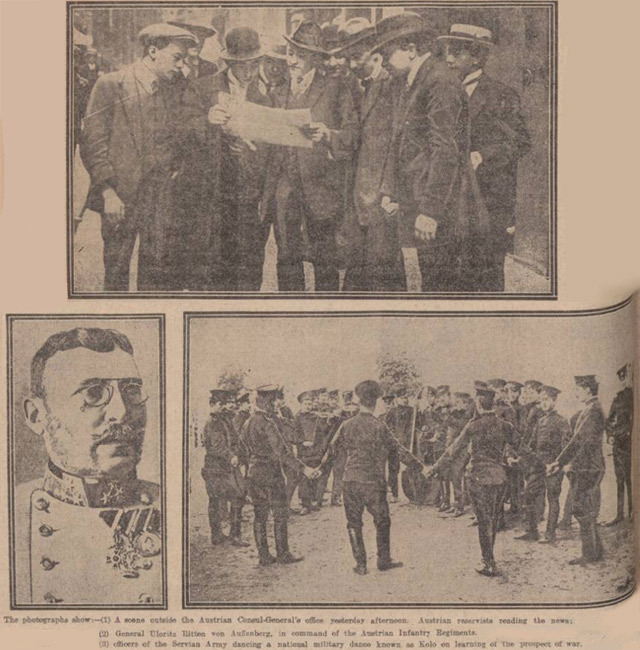 You’ll find clippings from some of these newspapers below, showing how the start of the war was reported. The Serbian Prime Minister received a telegram at 12.30pm on 28 July 1914. It stated that ‘Austria-Hungary… considers herself henceforward in state of war with Serbia’. 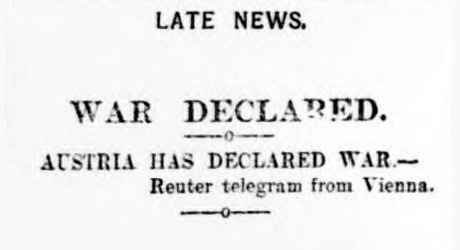 While many British newspapers were printed early in the morning and did not include news of the declaration of war, it was featured in some of the later editions. These included the Manchester Evening News, Evening Telegraph and Yorkshire Evening Post. 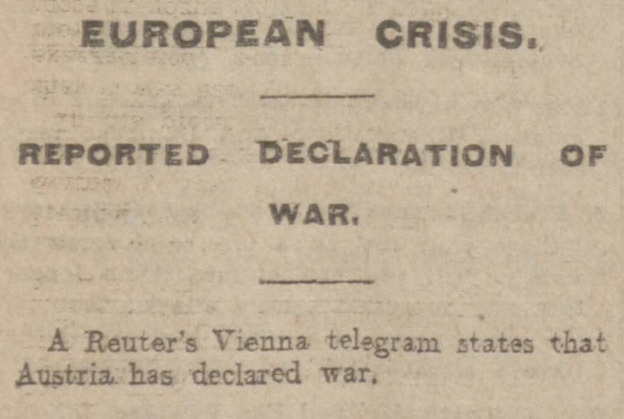 It’s fascinating to read the newspapers that were printed earlier on 28 July 1914, before news of Austria-Hungary’s declaration of war had reached Britain. Some newspapers took the line that war had already begun, even though it had not been officially declared. This approach was taken by the Exeter and Plymouth Gazette. The Manchester Courier and Lancashire General Advertiser took a different view. The newspaper reported that the situation was ‘in the balance’ and that a peaceful solution was still possible. 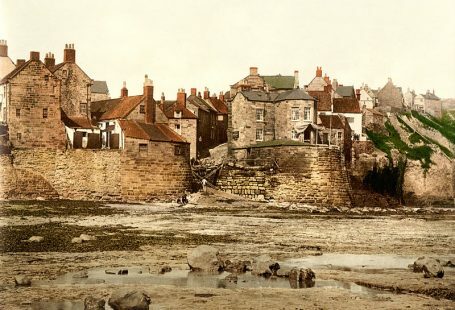 You’ll find full reports about the start of World War One in the newspapers published on 29 July 1914, the day after Austria-Hungary declared war. Some even included images, such as these examples from the Daily Record.